Mega Photo Gallery: Black Carpet Fashion From Last Night's Twilight Saga: Breaking Dawn Part 2 Premiere! Mega Photo Gallery: Black Carpet Fashion From Last Night’s Twilight Saga: Breaking Dawn Part 2 Premiere! Celebrities, fans and cast members turned out last night for the final farewell to the Twilight Saga movies! 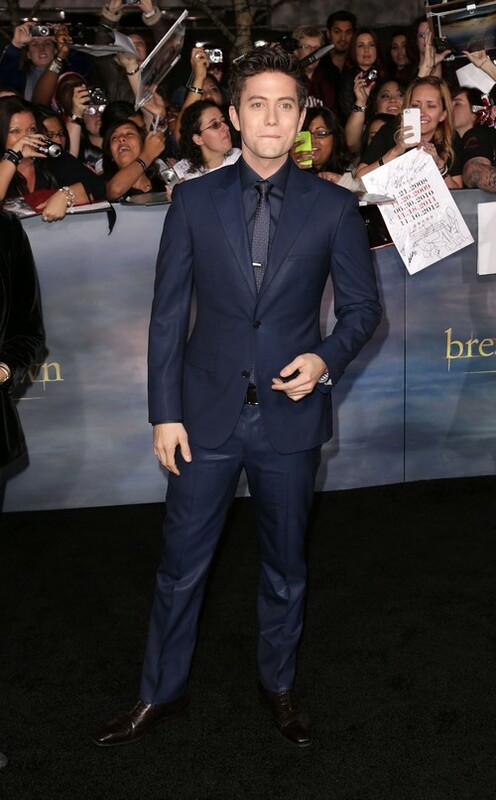 The Twilight Saga: Breaking Dawn Part 2 premiered last night in L.A. Check out our mega photo gallery for the night’s best fashions – including Kristen Stewart, Nikki Reed, Ashley Greene, Kellan Lutz, Robert Pattinson, Jackson Rathbone, Stephenie Meyer and many more! Do you have your tickets for this weekend? Are you planning to see it at the midnight screenings? Billy Burke, who plays Bella’s dad, Charlie. Pictured with his wife Pollyanna Rose. Dakota Fanning is almost unrecognizable in dark hair! She shared on the red carpet that it was for a movie she just finished. Nikki Reed was the rock star of the night. Instead of going in to watch the film (which she hasn’t seen yet), she opted to stay outside and sign autographs for the fans the entire time. Peter Facinelli, who brought along his daughter Luca as his date. Max Irons, Saoirse Ronan, and Jake Abel, who are starring in the film adaption of Stephenie Meyer’s “other” popular book, The Host. And last, but not least, Robert Pattinson, who wore an emerald green suit from Gucci. Tamera Mowry-Housley Welcomes A Baby Boy, Aden John Tanner Housley!Elizabeth Banks Welcomes Baby #2!